. A few days later, another victim is found dead, in exactly the same circumstances. 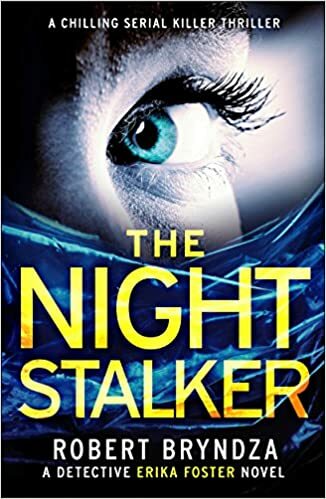 As Erika and her team start digging deeper, they discover a calculated serial killer – stalking their victims before choosing the right moment to strike. Oh, Man alive, that was perfect, just perfect. This is the second Detective Erika Foster book and Robert Bryndza has upped the ante and has written a truly fantastic book. From the first word to the last I was captivated and thrown deep into the world of Erika Foster. Robert Bryndza has a great ability to transport you to the world he has created, to make you feel that you are Erika for the length of the book. I had so many emotions reading this book and I felt the heat, the stifling, suffocating heat. Throughout the book the steadfast growth of all the characters makes great reading and It was good to learn more of the background to Erikas life without it feeling repetitive or Crime Fiction by numbers. The book is split between the hunt for the killer and the killer. So you know who the antagonist is early on. I loved the idea and it made for exciting reading. With Books like this Robert Bryndza has every chance of becoming one of the greats of Crime Fiction and the publisher Bookouture has yet again proven itself to be one of the leaders in the genre.